The 604982 Movado Amorosa Women’s Watch features a Swiss design reputed for its stylistic quality and reliability which follows an award-winning tradition of over 125 years of Movado innovation—a design which is trim and innovative as it is elegant. 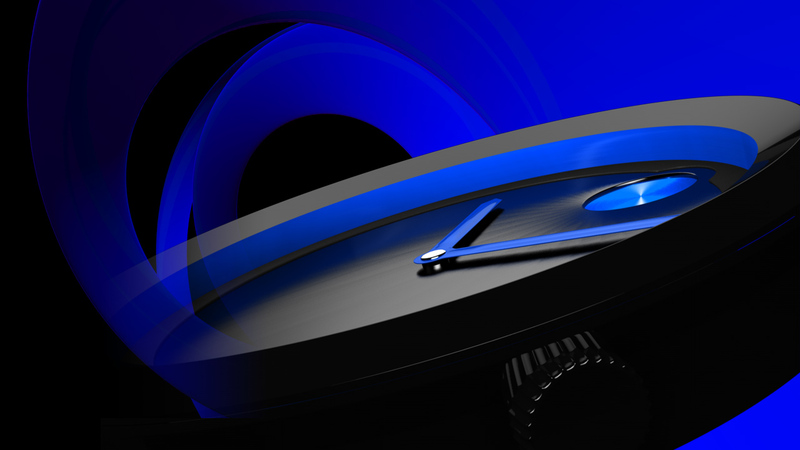 The watch includes an all-stainless steel bracelet band accented with 18 full-cut diamonds and a 24mm water-resistant case, scratch-resistant sapphire crystal and a sleek black museum dial. 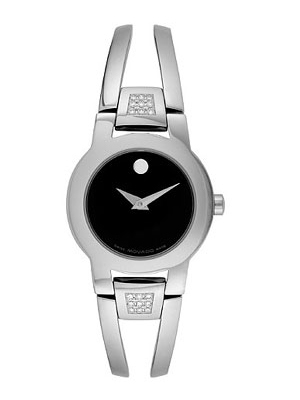 The design of the 604982 Movado Amorosa Women’s Watch is one which follows a prestigious Movado legacy of over 100 patents and over 200 international awards for design and innovation. An authentic design direct from Switzerland, its style is one which maintains a strong quality of elegance, yet is casually subtle enough to wear every day and is conservative enough for formal occasions. The 604982 Movado Amorosa comes built with a 17.8cm high-polished all stainless steel sizeable bracelet band 8.4mm in width, fastened with a jewelry clasp. The round all-stainless steel case has a diameter of 24mm and a thickness of 5.5mm; comes built with a push-in crown which has a water resistance of up to 30 meters, a screwed down case back, and uses Swiss Quartz battery operated dial movement. The 604982 Movado Amorosa Women’s Watch retails at an MSRP of $895.00 and comes with a Two-Year Manufacturer’s Warranty at purchase.